Holidays are upon us! At this time of the year, everything is decorated in the Christmas manners. From streets of our cities, to our homes. As our computers are an important part of our everyday lives, there are people who want to bring a pinch of the holiday spirit to their computers. 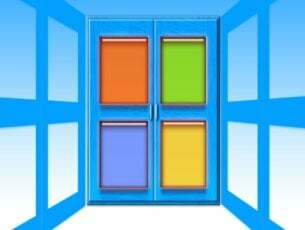 Windows 10 is a highly customizable operating system, which allows us to ‘decorate’ it by our desires. 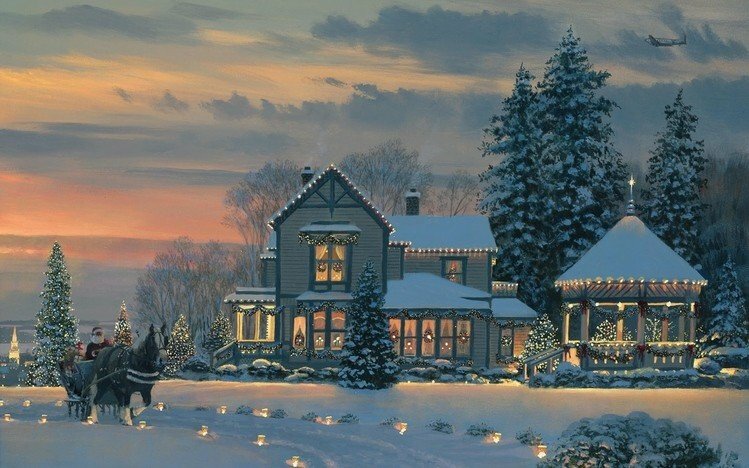 So, we prepared a list of the best Christmas themes for Windows 10, in case you want to transform your desktop or laptop into a home for Santa Claus. If you want to transform the whole interface of your computer, ReGe Christmas Theme is a for you. This custom made Windows 10 theme completely changes the user interface of the system. Start Menu, File Explorer, dialog boxes, and more. The theme even changes some icons. ReGe uses the combination of red and green colors. These colors are typical for the Christmas tree, and Santa’s helper elves. So, if you want to feel like Santa’s apprentice, you should definitely try this theme. 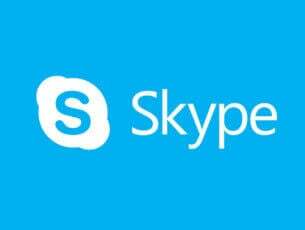 It is completely compatible with Windows 10, so all you need to do is to download and install it. ReGe Christmas Theme is available for free, and you can download it here. My Christmas Icon Pack, as its name says, transforms all Windows 10 icons into Christmas-themed icons. The theme changes both desktop and system icons, as well as some other user interface elements. For example, the clock, taskbar, and more. 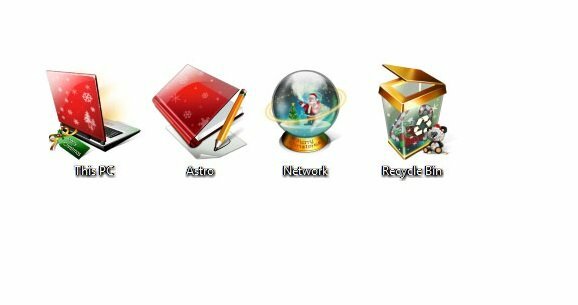 My Christmas Icon Pack is compatible with all versions of Windows, starting from Windows 7 and later. So if you want your hard drive icon to look like a Christmas present, or My Pictures icon to look like a Christmas card, you should definitely try this icon pack. My Christmas Icon Pack is available for free, and you can download it from this link. Christmas Desktop Theme Pack is a collection of 16 HD Christmas-themed wallpapers. Although this wallpaper pack doesn’t change the looks of your interface, it contains some beautiful images for your Desktop. So, if you don’t want to bother with finding a perfect Christmas wallpaper for your Desktop, you can download this pack, and have the theme pack do the job for you. Christmas Desktop Theme Pack is available for free, and you can download it from this link. Same as Christmas Desktop Theme Pack, Christmas Tree Theme Pack is a collection of beautiful Christmas trees for your Desktop. The collection consists of 16 images of beautiful, well-decorated Christmas trees for your desktop. So, if you want one of the biggest symbols of this holiday on your Desktop, download this wallpaper pack. Christmas Tree Theme Pack is available for free, and you can download it from this link. Although its name says ‘2016’, it is perfectly fine to use this theme while you’re waiting for 2017! This theme pack consists of beautiful Desktop wallpapers, and customized icons, for fulfilling the holiday experience. Christmas Theme is available for free, and you can download it from this link. This complex Christmas theme from ThemeRaider allows you to customize every aspect of your Windows 10 computer. Christmas Cheers features 12 images that you can set as wallpapers, modified cursors and custom desktop icons and a color scheme change. It is worth mentioning that this theme pack is compatible with Windows 10, Windows 8.1, Windows 8, as well as all the Windows 7 editions. Download it now and get your computer ready for Christmas. 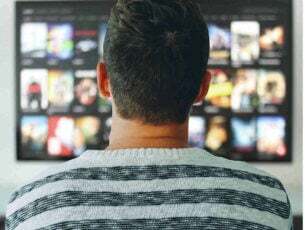 Of course, if you don’t want to download any third-party theme on your computer, there is an alternative that you can use. 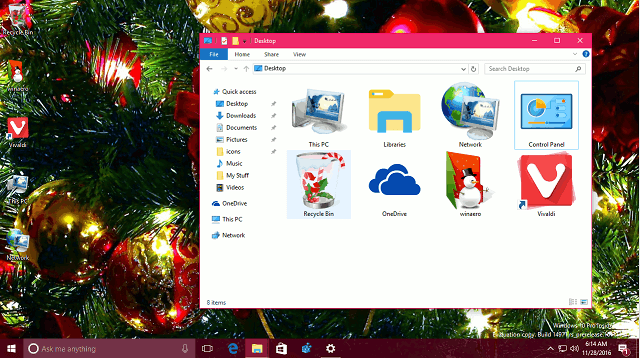 Go to Microsoft’s Holiday & Seasons theme list and download the one that you like most. 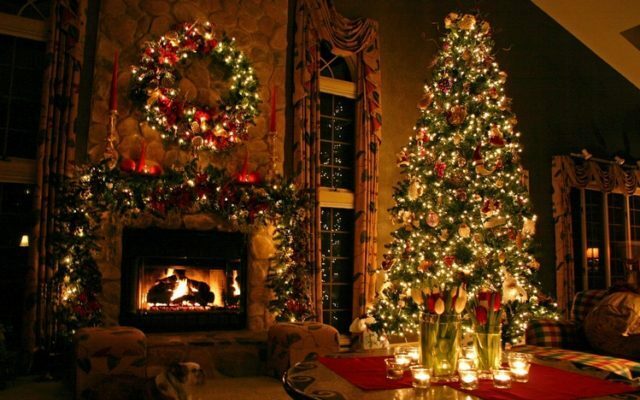 There are plenty of Christmas themes to choose from, such as: Snowy Night, Sugar and Spice, Twinkle Wish, and more. There you go, we hope these themes will help you to bring the holiday spirit to your computer. What do you think of our choices for this Christmas? Let us know in the comments below.